Why do we train, and why do we train so much? We know better. We train to compensate for bad documentation. We train to teach workarounds to bad processes. We train to fix culture and morale problems. We train multiple times to ensure that everyone “gets it.” What about the old adage, “less is more?” In this session you will learn why, in many cases, training should be the LAST resort, not the first. During this talk, we will look at several key principles that can reduce the need for training, while significantly improving performance. This isn’t the end of training by any means, but rather a major rethinking of its role in professional growth and performance. 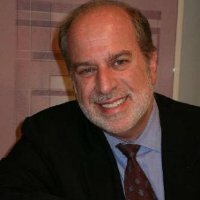 Dr. Marc J. Rosenberg is a leading management consultant, speaker and educator in the fields of training, organizational learning, e-learning, knowledge management and performance improvement. He is the author of the best-selling books, E-Learning: Strategies for Delivering Knowledge in the Digital Age (McGraw-Hill), andBeyond E-Learning: Approaches and Technologies to Enhance Organizational Knowledge, Learning and Performance (Pfeiffer/Wiley). His monthly column, “Marc My Words,” appears in the eLearning Guild’s Learning Solutions online magazine. Marc is past president and honorary life member of the International Society for Performance Improvement (ISPI), a recipient of the eLearning Guild’s Guild Master award, and holds a Ph.D. in instructional design, plus degrees in communications and marketing. He also holds the Certified Performance Technologist (CPT) designation from ISPI. Introducing the NEW SIG/GIG Spotlight! At the October event we will be spotlighting the D.E.L. Awareness GIG! We will have a GIG leader at the event to give a brief overview of the GIG and to network and answer and questions.